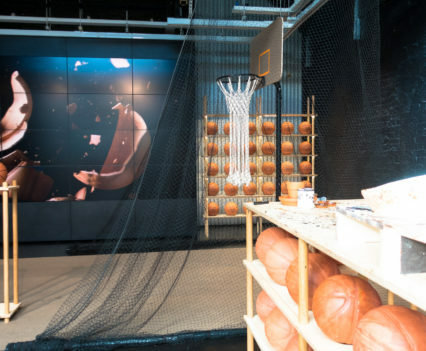 We were asked by Nike Lab in London to create an interactive installation in response to the game of basketball, of which we knew very little about. 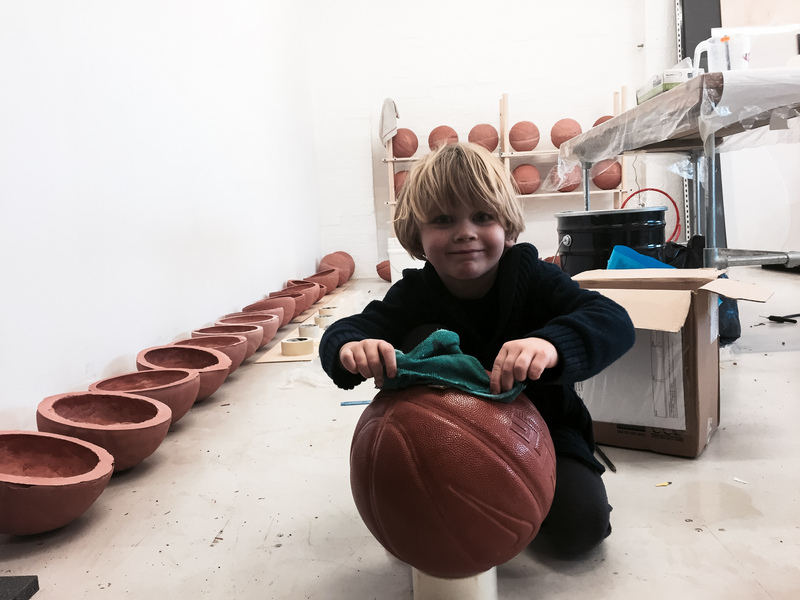 We approached it as complete novices and with geeky fascination. 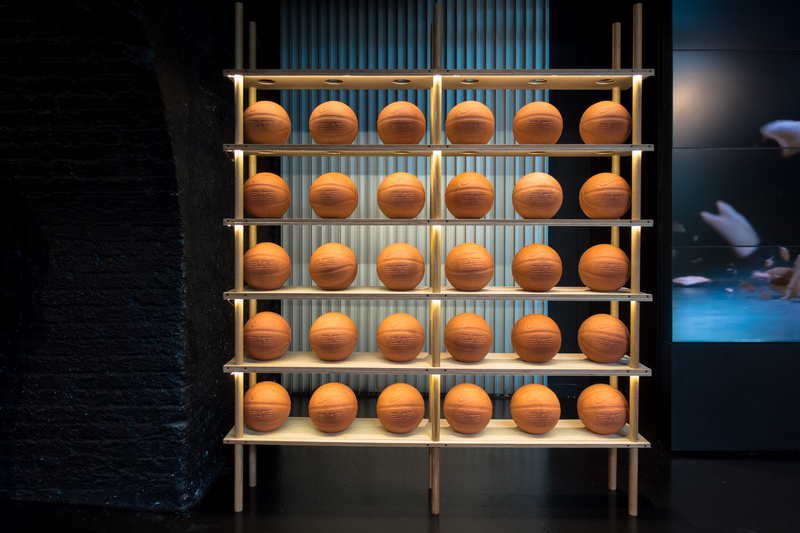 We wanted to play with the rules and the materials of the game and also the notion of winning and competition. 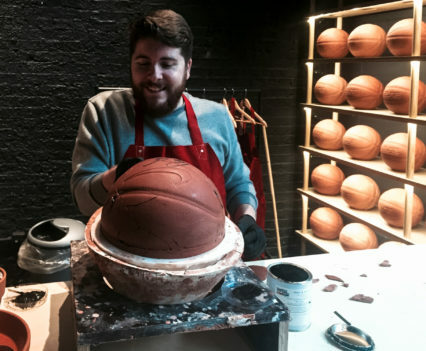 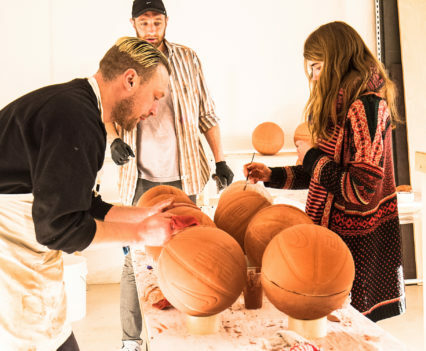 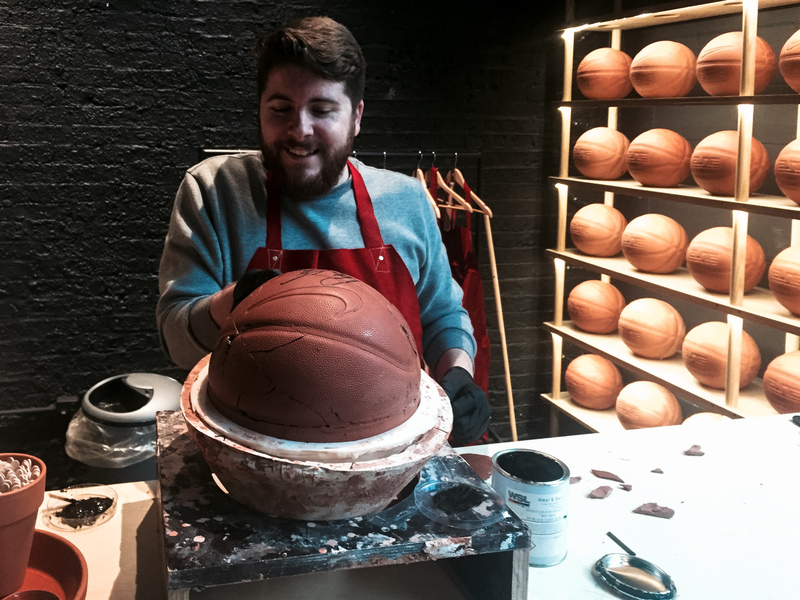 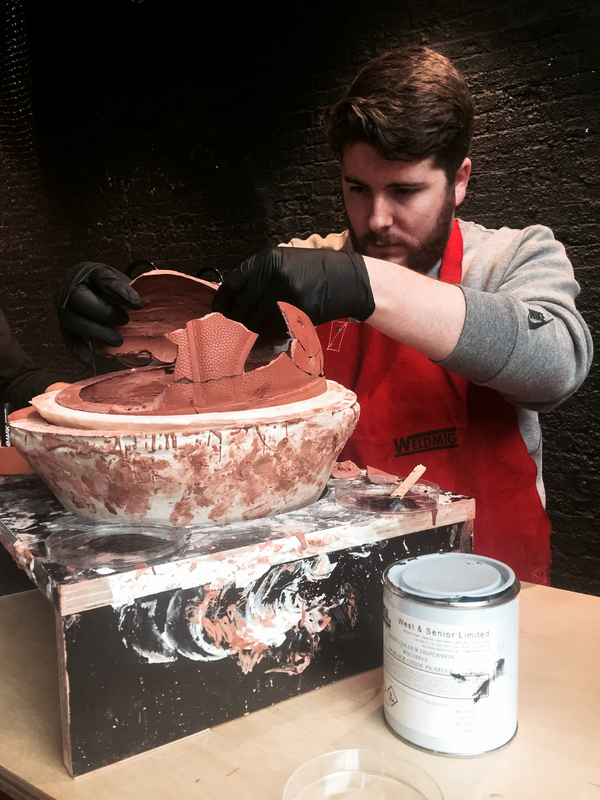 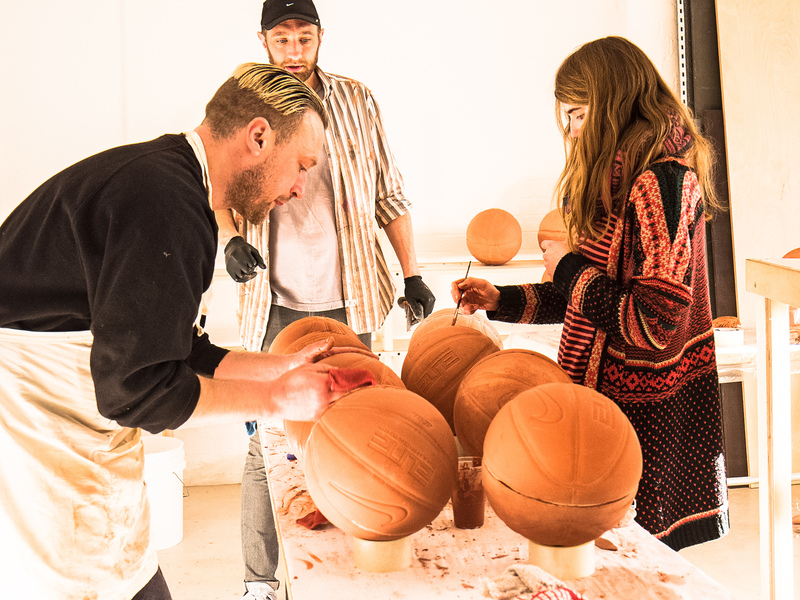 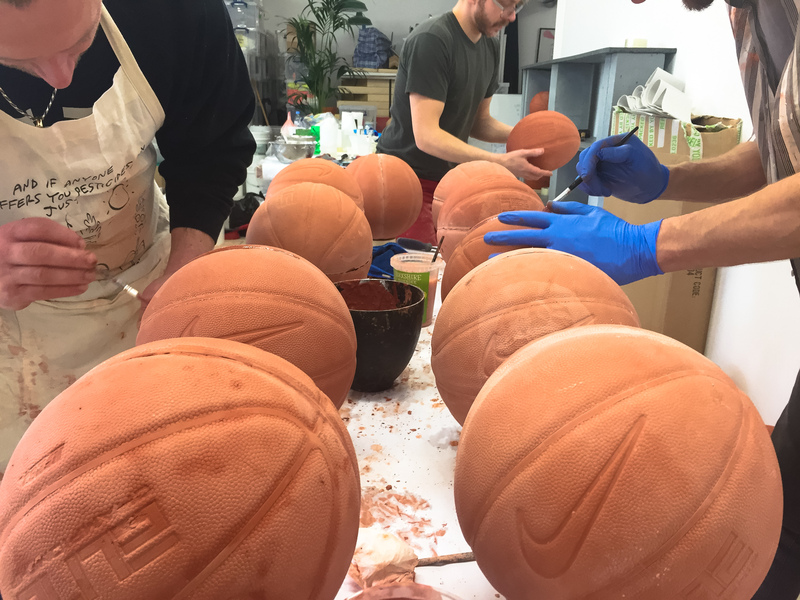 By the end of our study we were handcrafting over 200 terracotta basketballs in our studio. 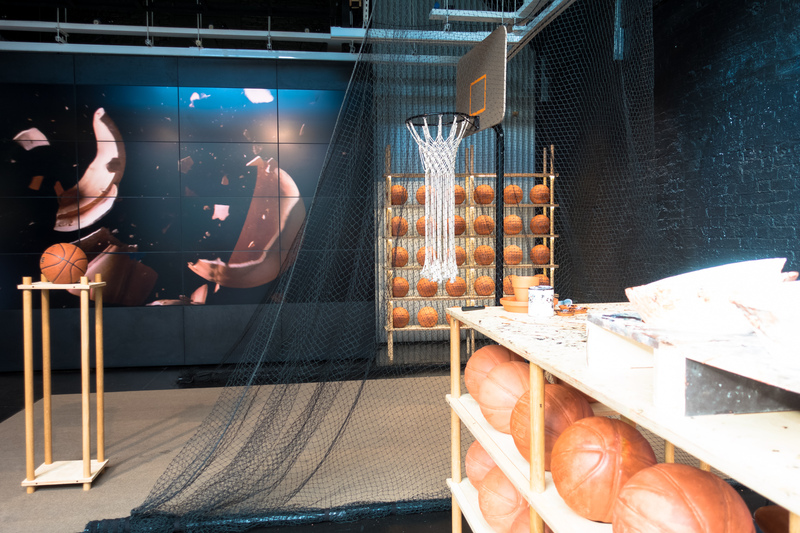 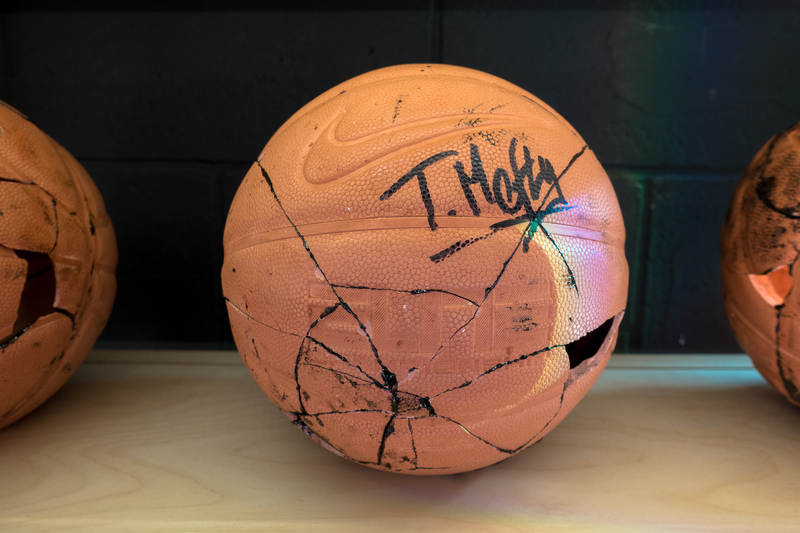 We then invited visitors to the Nike Lab to make ‘one shot’ at the hoop with one of our precious basketballs. 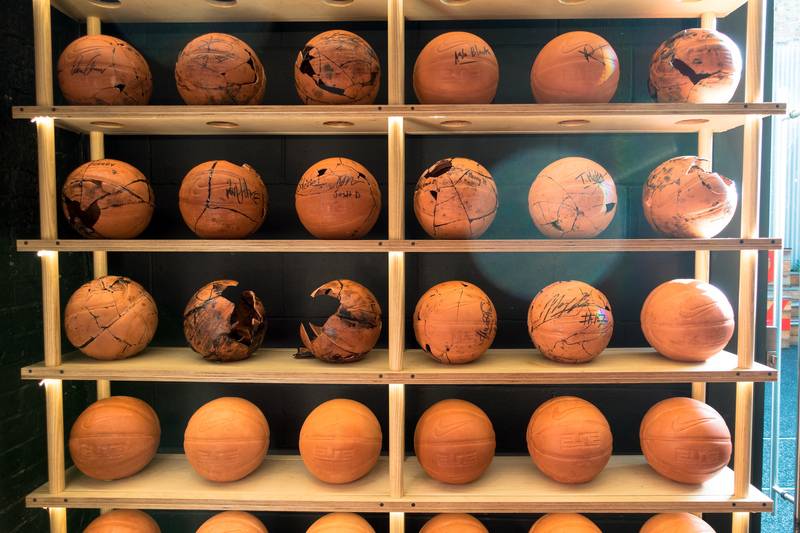 These fragile spheres almost identical to the original rubber ones hurtled through the air and smashed into tiny pieces. 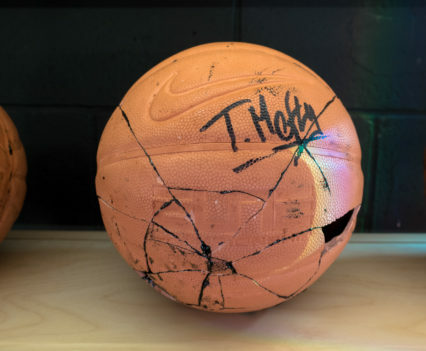 Some made the hoop, many missed, It didn’t really matter, the result was the same. 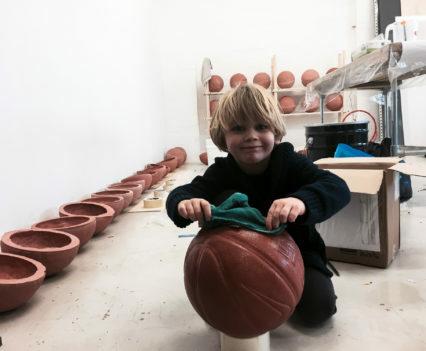 Many hours of labour went into the making of these clay balls and it took two seconds to destroy them. 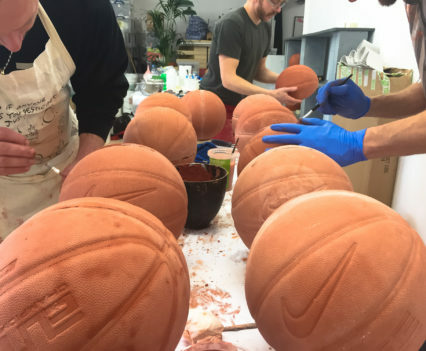 We set up a mending station and offered people the chance to glue the balls back together and make them whole again. 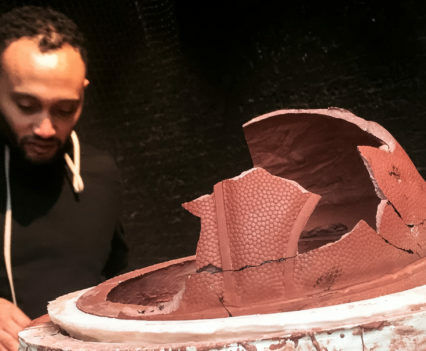 Many stayed for several hours committed to repairing their fleeting destruction. 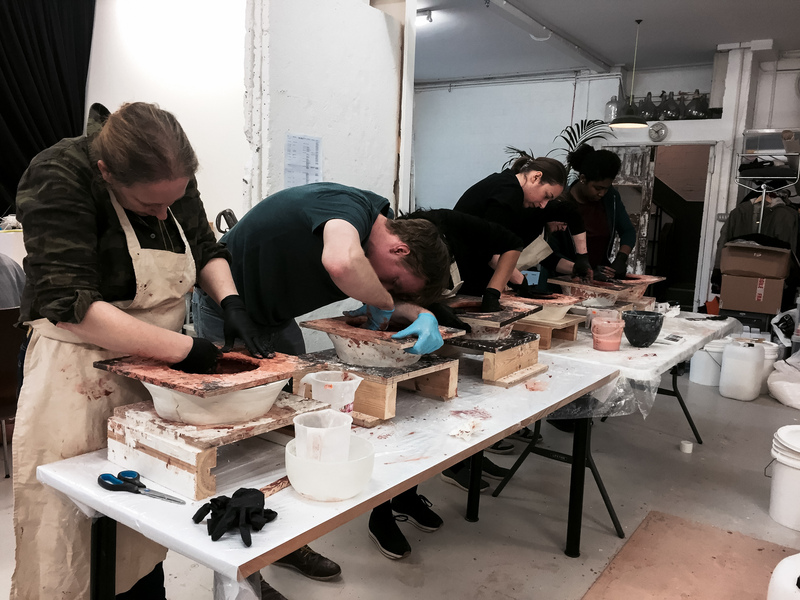 It provided a pause from everyday life and a slow and focussed activity. 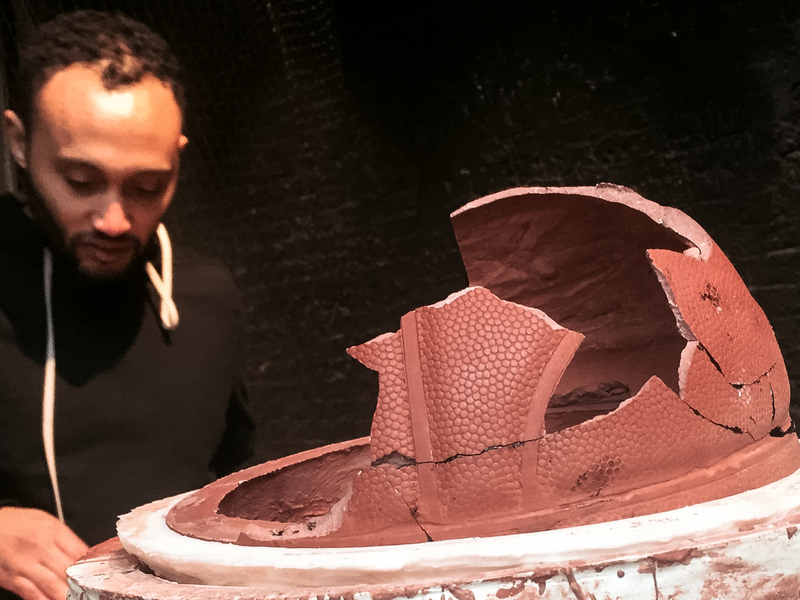 We were blown away by the amount of people that dedicated hours to this activity of mending. 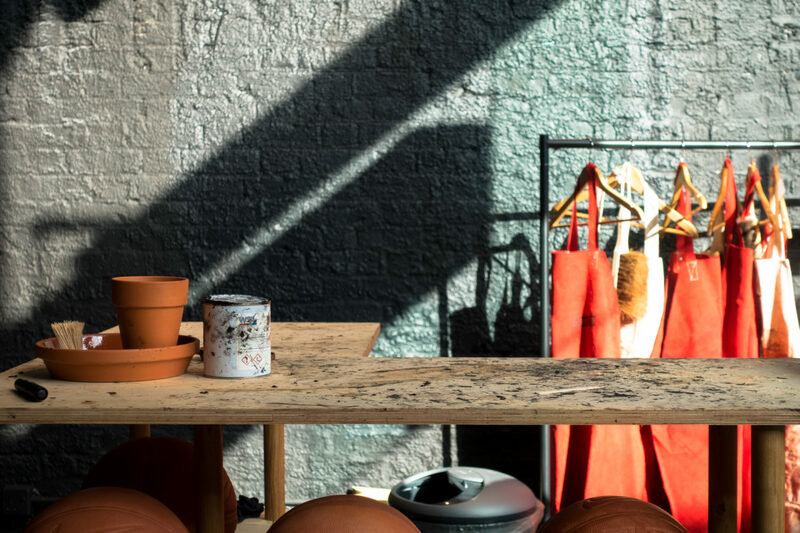 Our concept was based on the Japanese philosophy, Wabi-sabi – the acceptance of transience and imperfection. 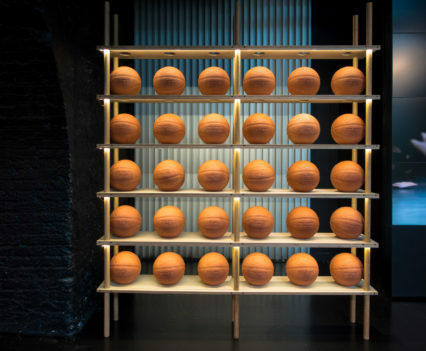 The aesthetic is described as one of beauty that is “imperfect, impermanent, and incomplete”. 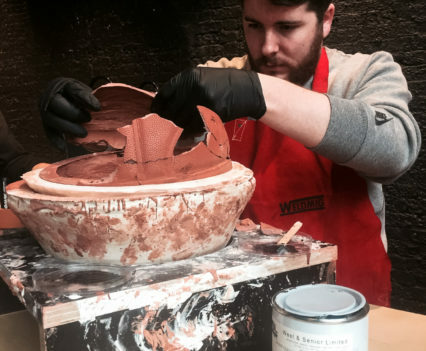 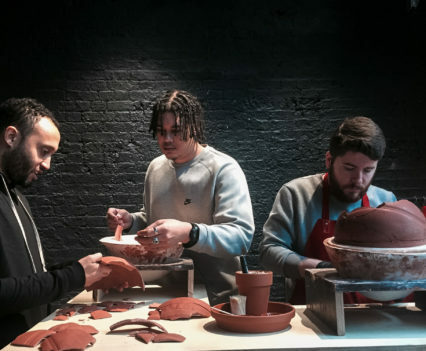 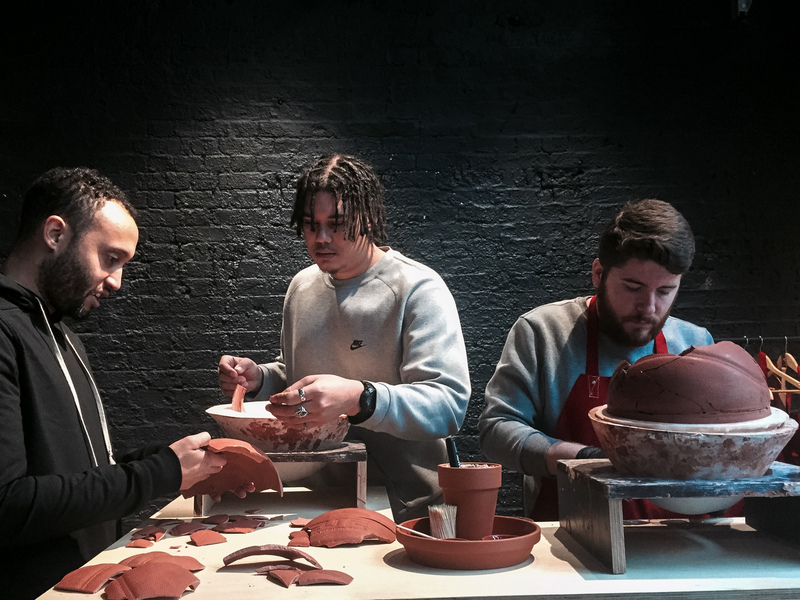 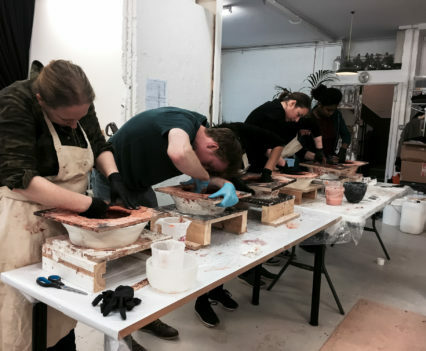 NikeLab was transformed into a potter’s workshop meets basketball court. 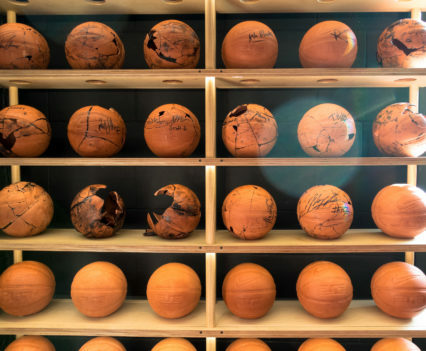 The fragmented and mended clay balls were on display in all their beauty for the duration of the installation. 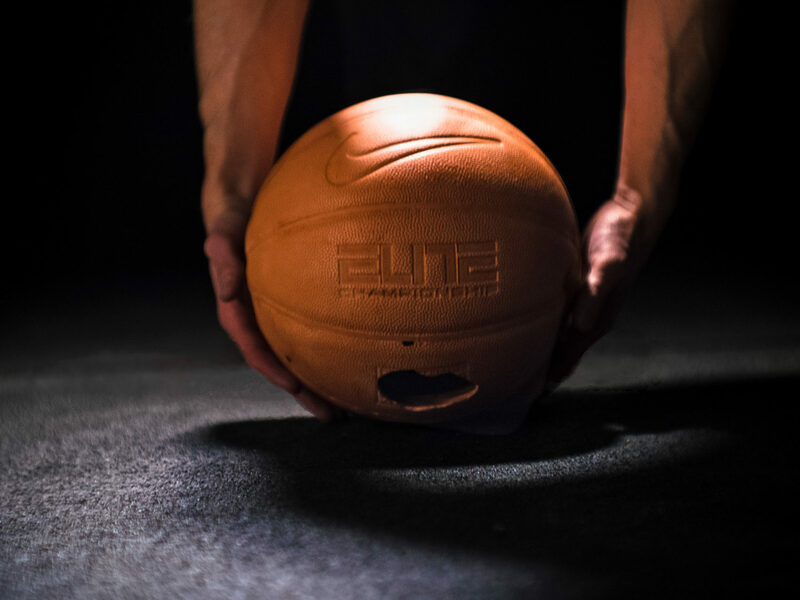 Share the post "Nike One Shot"